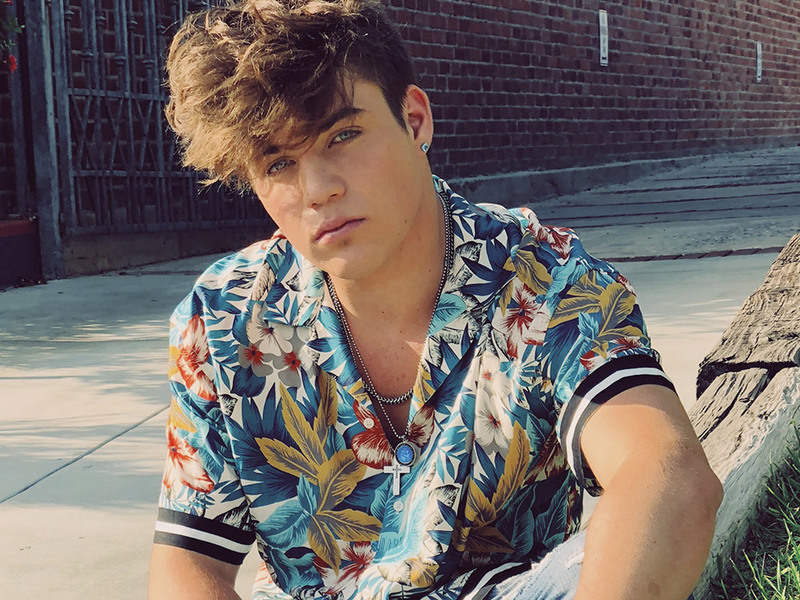 Our exclusive interview with talented triple threat (singing, acting & dancing) and influencer star Dominic Klein. 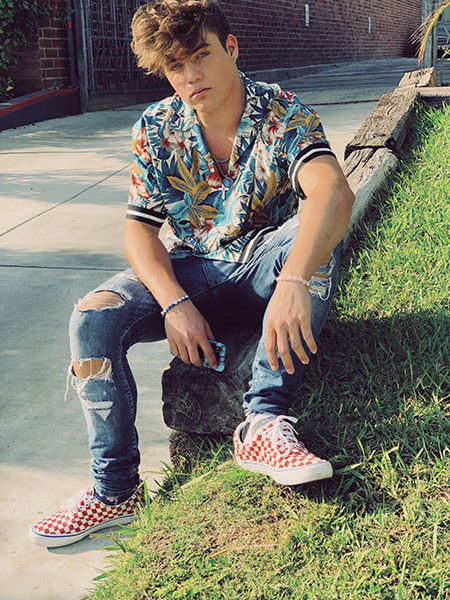 Dominic is best known for his role as Brayden in the popular BRAT series Total Eclipse where he plays the jock and stars alongside Mackenzie Ziegler and Lauren Orlando. Hi Dominic, please tell us a little about yourself? 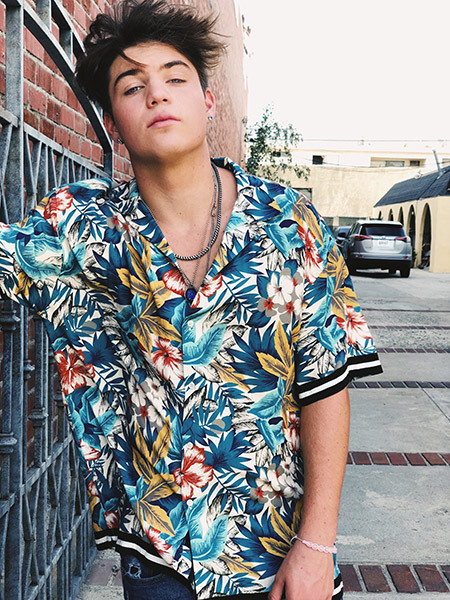 Hey, I’m Dominic Kline and I grew up in Hawaii. I moved to Los Angeles to pursue acting when I was 10 years old. I just turned 16! I love playing sports and I played water polo for the last 5 years. I also love playing basketball. Most people don’t know that I’m a singer too. I would say chill, funny and adventurous. I’ve wanted to act since I was 3 but I was living in Hawaii and we had just moved from California so my mom blew me off and said she didn’t want to move back to California for your acting. And then eventually we ended up moving to Washington state and then we moved to California, it was suppose to be for like 3 months to get my uncle settled in and then we would go back to Hawaii and I ended up asking, hey mom can I get an agent and become an actor and she said, yeah, so that’s how I started. Yeah, I’ve gone to a lot of acting classes. They’re fun. How do you think your parents help you as an actor? My mom helps a lot, she drives me to all my auditions, interviews, meetings and events that I need to go to and she keeps me grounded. Are you going to school or you are full time in this business? I just tested out but I’m still taking classes. I like to play characters that aren’t like me. So I like playing characters that are mean. I like playing all kinds of characters to be honest. Now tell us about “Total Eclipse” and about your character Brayden? Total Eclipse is a series about a girl named Cassie, who has this little fantasy moon world that she goes to whenever things get tough in the real world and then she recuperates there and comes back to reality. And my character Brayden is the love interest and I’m like her moon boyfriend. Now how is working with talented cast like Mackenzie Ziegler and Lauren Orlando? They’re fun to work with and fun to be around. They’re professional and know all their lines when they come to set and it’s great to work with them. I love both of them. I was on Instant mom on Nickelodeon, a movie called The Bandit Hound, Conan, and some other stuff. My favorite actor is tied between four people, Brad Pitt, Leonardo DiCaprio, Tom Holland, and RIP Paul Walker. Who is still on your bucket list to work with? Brad Pitt, Leonardo Dicaprio, Tom Holland and other actors but those are the 3 favorite that I really want to work with. The best advice ever given to me was by one of my friends and that was, if your friend or a person is talking bad about somebody in front of you that usually means that they’ll be talking about you behind your back to somebody else. My family, my dog Bo..oh wait that part of my family! My phone. Food. Water. And Sports. What are the most useful tips you could give to someone who’s just starting in the acting world? Know what a slate is because for my first audition I didn’t know what a slate was and a slate if you don’t know what it is, is saying your name and age. Unless they ask differently, like say your name, age and agency. That’s when you would say Hi, I’m Dominic Kline, I’m 16 and so on but I didn’t know what that was for my first audition and it was bad. What’s one of the funniest things that have happened to you on a set? The first day I went on set, I’m the love interest the moon boyfriend and I hadn’t even met Kenzie yet. I didn’t know her at all, we knew each others names and stuff we just didn’t know each other you know and at the end of the day they made us film a scene where I had to sweep her off her feet and carry her out of the room and I also had to feed her a donut like an airplane with one hand. So that was definitely the funniest thing and the most awkward thing. My favorite show on tv right now is The Flash. I really don’t know, I would want to meet a lot of people. Albert Einstein. That’d be cool to see what’s going on in his head. That’s who I would want to meet. That’s my serious answer. Why does it have to be Sunday for one, and for two I don’t know. Waking up, feeling energized, hanging out with all my friends going to play basketball or something. Then after going home, taking a shower and then chillin all night with all my friends. That’s the idea of a perfect day doing something with my friends, like going to six flags or something. I see myself as a famous singer and actor. A singer that people know and a actor that’s well known too. It’s cool. I love social media it’s really important to acting and your career.